Long, hardwearing winter parka for changeable winters when temperatures fluctuate between above freezing with sleet to below freezing with snow. 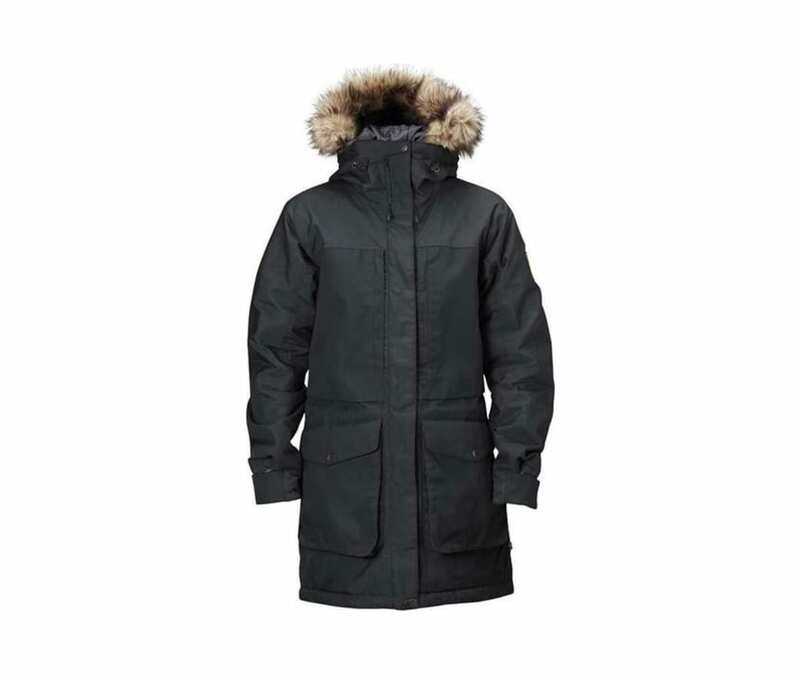 Durable Supreme Microloft padding provides warmth, but Barents Parka has less padding than our warmest winter jackets so it is functional even when the temperature is around zero. The outer fabric is G-1000 original with reinforcements in G-1000 HeavyDuty and a Hydratic membrane that keeps water out. The generous hood has detachable synthetic fur edging for extra protection against falling snow. Many pockets provide practical storage, such as the vertical chest pockets for maps, telephones or bus passes, and the bellow pockets lower down that have room for both gloves and frozen hands. There is also a hidden napoleon pocket and two inside pockets. Drawcord at the hem and long two-way zipper with protective flap and press buttons. Sleeve cuffs can be adjusted with Velcro. Its classic cut and robust materials make Barents Parka suitable for both every day use and outdoor life without having to worry about getting wet.